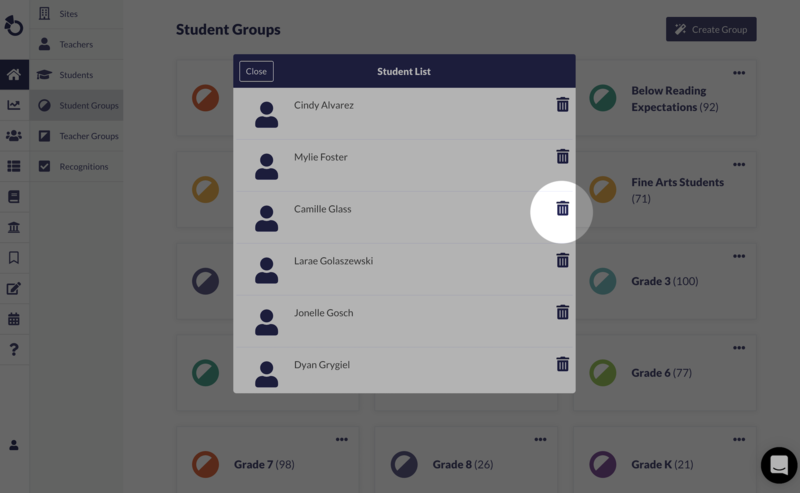 There may be times when a student may need to be removed from a group list. Follow the steps listed to remove students from a district group. 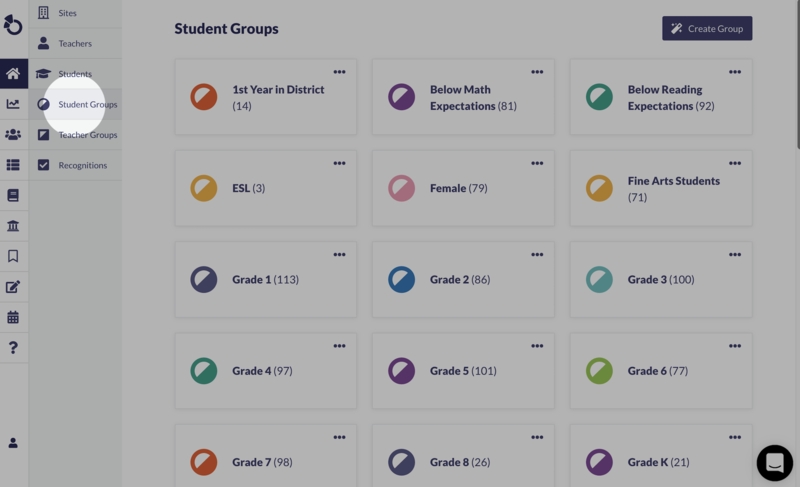 From the District screen, select Student Groups. 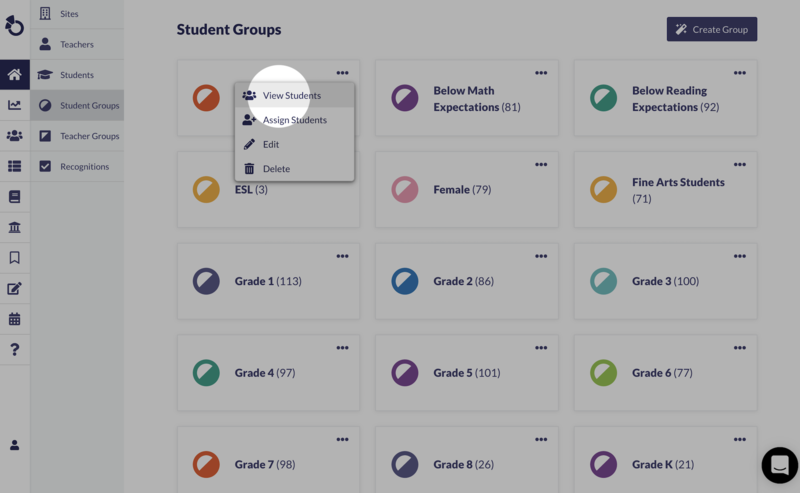 Select the ellipses for the desired Group, then View Students to see a list of students who have been assigned to the Group. Select the Trash Can icon next to the student name that you would like to remove.